I was asked to take a look at sake breweries nationwide which incorporate the latest equipment into traditional methods used for year-round sake production. Tell us about "Four Seasons Brewery". The Four Seasons Brewery first began making sake year-round in 1864. It has incorporated technology along with traditional methods over its history of about 150 years. The company was named the "Meijo Shuzo Co." in 1961. It was formed by the merging of seven breweries within the city of Himeji, which is known for its famous castle. Thus, the name "Meijo Shuzo" or "castle brewery" was adopted. 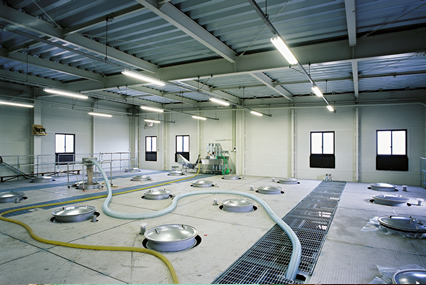 The company uses dehumidifying systems and other state-of-the-art equipment to enable year-round production of sake. A computer controlled system makes it possible to achieve high quality sake at a stable rate. 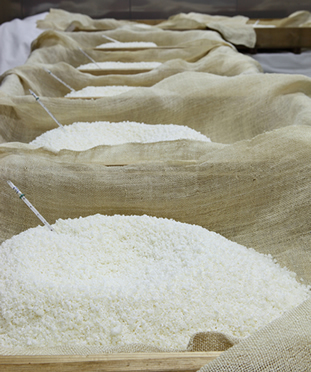 The company currently produces about 80 million bottles of sake per year. 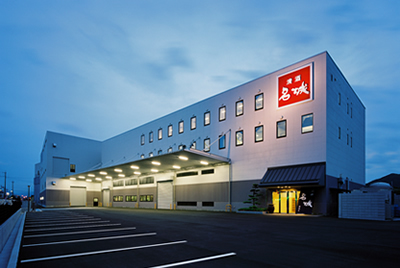 In an effort to serve more customers, the company ships sake from Harima (Hyogo Prefecture) to all points nationwide as well as overseas. Although modern equipment is used, processes such as those which require the making of "Daiginjo" malt, are entrusted to the experience and intuition of a master brewer who uses a "box" method for production. This results in a good balance between the use of modern machinery and traditional manufacturing methods. "Meijo Junmai Kakushi Zake" is very popular. Meticulously prepared local sake can now be stored in large portions. This sake consists of an unfiltered raw brew, and is not sold through ordinary distribution channels. It is only available through direct contact with the company, or by way of its home page. This is to ensure quality control. Since quality control is so essential, at one time it was called "kakushi zake" ("hidden sake") by everyone except the brewers themselves, to preserve its precious nature. Those who like the taste of sake have got to try the taste of unfiltered fresh brew. We look forward to seeing customers in March and November, the only times when "kakushi zake" is produced, with our fan numbers increasing yearly by word-of-mouth advertising. I think this type of sake will increase in popularity, since it is completely different from mass produced sake. There's also a sake by the name of "Kuroda Kanbe" which is closely associated with Himeji, isn't there? 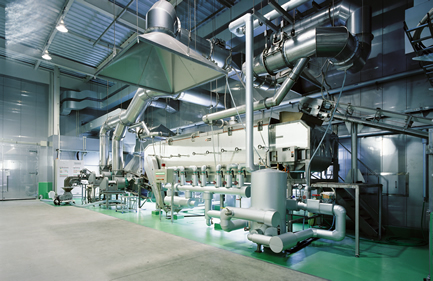 A computer managed, continuous rice-steaming room. All equipment relies on the newest technology available. There is a 2014 NHK television drama which deals with Kuroda Kanbe, a historical strategist who is well known in Himeji. Our company registered the "Kanbe" trademark, which has evolved into a series of sake products. I think that the "Select Dry Kanbe", "Kanbe Raw Sake" and "Freshly Squeezed Kanbe" product lines will become increasingly popular in the future. I'm glad to see that Harima regional sake is achieving notoriety nationwide through the airing of this drama. Your company completed a new building in 2006. What are your thoughts regarding future expansion plans? 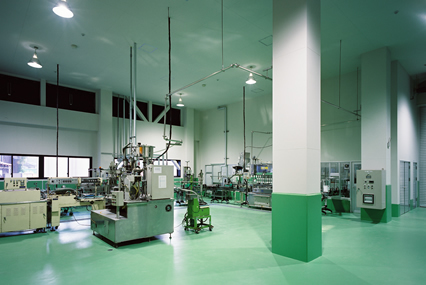 The factory's first floor is where bottling and labeling occurs. All year round, the newly made sake that can be shipped is what is sold. Although they say that consumption of Japanese sake has dropped 1/3 compared to its peak consumption period, it is being marketed more toward young people and women. I think that developing just the right product geared toward promoting good health will result in increased consumption. With a wider vision aimed toward overseas sales, the annual consumption of Japanese sake is increasing year by year. To take advantage of this opportunity, we would like to aggressively pursue the export of our company's products. It has been said that the history of Japanese sake goes back over 2,000 years. I enjoy the whole flavor and freshness of freshly squeezed. Enjoy the taste of fresh freshness distinguished. Suitable as food liquor during dry and that was refreshing. I patronize the taste of food comfortably. Real fine-grained rice is spread in the mouth comfortably. Drinkability is very popular in the modest sweetness.